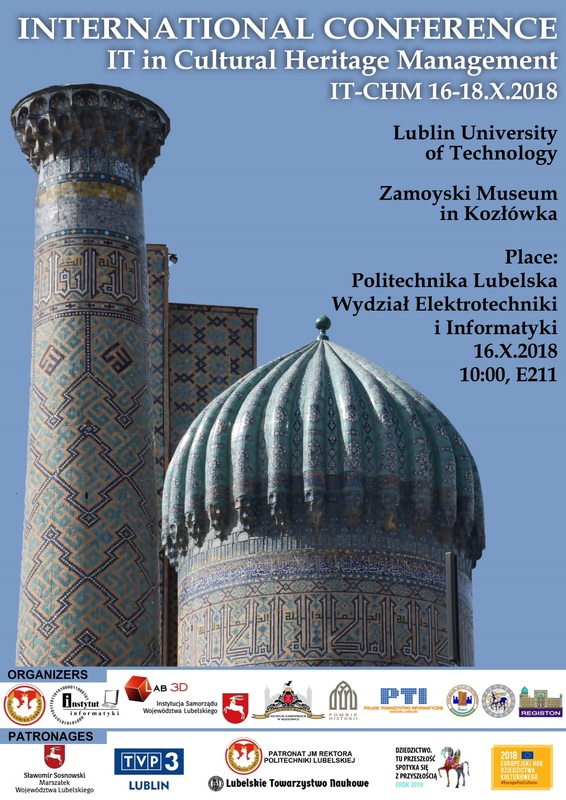 On October 16, 2018, the scientific conference “IT in Cultural Heritage Management (IT-CHM)” will be held at the Lublin University of Technology, presenting the possibilities of using information technology in managing museum units and cultural heritage. 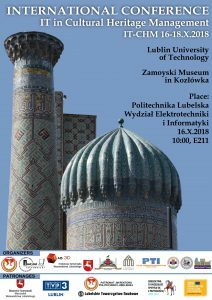 Lublin Branch of the Polish Information Processing Society. The media patron is: TVP 3 Lublin. The event occurs under the patronage of the European Year of Cultural Heritage. Marek Miłosz Lublin Branch of the Polish Information Processing Society (m.milosz@pollub.pl). The event is under patronate of the European Year of Cultural Heritage.